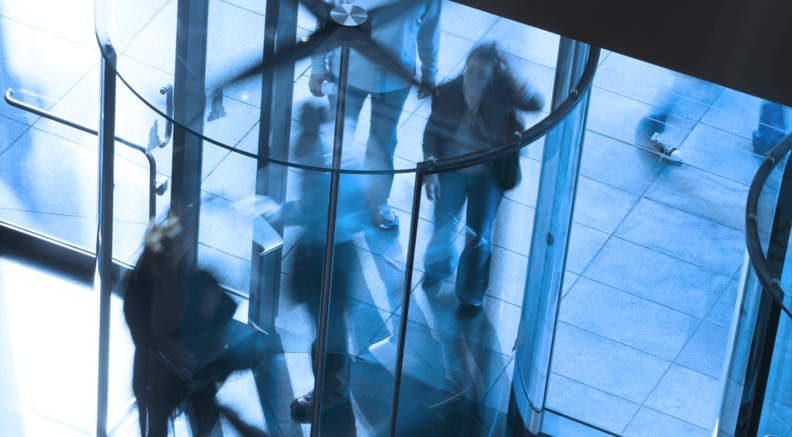 The benefits coming from the CMS' Hospital Readmissions Reduction Program have slowed enough that some industry experts and hospital leaders say it may be time to retire the program. The program was mandated by the Affordable Care Act as part of a larger effort to curb health costs—readmissions make up about $41 billion in healthcare spending—and to motivate providers to improve outcomes. By and large, the program seemed to work. The CMS' spending on readmissions fell $9 billion by 2014 and readmission rates for Medicare beneficiaries suffering congestive heart failure averaged 22% from 2011 to 2014, down from 24.5% from 2005 to 2008, according to a Kaiser Family Foundation analysis of CMS data. But there has been a standstill on progress. From 2013 to mid-2016, readmissions have only dropped by 0.1% on average. 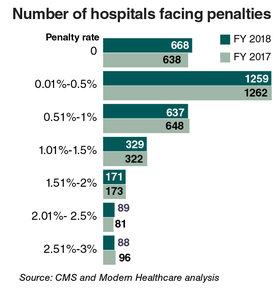 Moreover, since the CMS began to dock U.S. hospitals for their readmission rates, a majority have consistently fallen victim to the penalty. The CMS has consistently penalized roughly 75% of hospitals for excessive readmissions since the Hospital Readmissions Reduction Program began in 2012. The stagnant numbers have policy experts and hospitals wondering if the CMS should move on from the effort. The minuscule movement now plaguing the program might mean it's time for the CMS to move on, said Dr. Thomas Balcezak, chief medical officer of Yale New Haven (Conn.) Hospital, a safety-net academic medical center. The hospital received a 1.91% penalty this fiscal year and will be hit with a 1.7% penalty next year. In 2013, the first year the reduction program issued penalties, 2,217 hospitals were hit with Medicare cuts. In its most recent round, the CMS expects 2,573 hospitals will get a penalty in the upcoming fiscal year. Each year, about 75% of the roughly 3,200 affected hospitals see up to 3% of their Medicare payments reduced because patients return 30 days after discharge. The CMS excludes psychiatric, critical-access and children's hospitals as well as hospitals in Maryland because of its unique all-payer rate-setting system. The CMS did not respond to requests for comment. At Yale New Haven Hospital, the readmissions program not only hurts the bottom line, but it no longer makes much sense as the hospital takes part in other CMS value-based care initiatives such as accountable care organizations, bundled payments and the Quality Payment Program. These programs encourage hospitals to​ keep patients healthy and to prevent admissions in the first place. "It might be time to revisit this specific stand-alone program and whether or not it's time to fold it into other programs," Balcezak said. A major complaint about the program has been that readmissions rates aren't easy for a hospital to control. A patient's return to a hospital after discharge may not have anything to do with the quality of care given at a facility. Social conditions could be to blame, such as employment status or support at home, and the area where a patient lives may make following doctor's orders difficult or impossible. Also, because hospitals aren't fully equipped to help patients beyond their walls, policy experts—and even some providers—argue that hospitals have likely done all they can to prevent readmissions. Instead, it's time for the CMS to focus on other efforts that better address value-based care, such as bundled payments or ACOs. Also needed is more data measurement on social determinants of health, which will offer much more insight into the health of patient populations and why they make expensive returns to facilities. "I think when the program was created, it was innovative," said Dr. Ashish Jha, a health policy professor at the Harvard School of Public Health. "But we are moving toward paying for more episodes of care. The point isn't just to manage the readmission, but the entire patient and all the services they need." Jha said other CMS programs, such as its bundled-payment initiative, give much better insight into the patient's overall health and the quality of care given at a hospital. There is also a need for better reporting and measurement of social conditions that are outside the hospital's control. Montefiore Medical Center, a safety-net provider in New York, is expected to be hit with a 1.26% penalty next year. About 85% of its patient mix is Medicare and Medicaid beneficiaries. Dr. Peter Shamamian, chief quality officer at Montefiore, said if the hospital could report that a readmission occurred because a patient struggled to follow a care plan due to social conditions, it could avoid a penalty. "That is important and it hits home for us," he said. The CMS' recent attempt at taking such factors into account didn't yield meaningful results. Still, the CMS in 2019 plans to begin accounting for patients' socio-economic status so the program is fairer for safety-net hospitals such as Montefiore and Yale. But experts don't think it'll help much because income is just one social risk factor, and the data on other factors—such as if a patient is frail or can't drive—simply don't exist in any standardized way. Measurements that address patients' well-being could help move the dial on not only keeping patients from coming back to the hospital, but from needing to go in the first place. If a doctor knows before prescribing a medication that the patient doesn't drive and won't be able to get to the pharmacy, other interventions can be put in place to help them, said Dr. Karen Joynt, an assistant professor of medicine at Washington University School of Medicine. "How can we innovate around social risk and outpatient needs that really impact health?" she said. "The more money that gets put into value-based payment, the more critical it is that the metrics are improved."